On Sept 5th, we finally did make the trip. The weather was a spoilsport because it was hot and humid – not the best time for my kind to be out but we still went. The museum is largely outdoor … they have all kinds of carriages, engines and tracks on display. There is an indoor museum with train, coach, track and signal models along with a rich collection of photographs. There are interactive quiz monitors, touch screen type, throughout the museum and I tried one of the quizzes – never got the Lucknow station question right :):). A joy train ride is also on and Mom was probably the youngest kid on the train that day :). I have a lot of feedback but that will be after the photographs. Right after you enter the rail museum you have this 1910 vintage engine on display. We then walked over to the Museum junction to board the Joy express. We were told to visit the indoor museum and then come back for the ride. They were waiting for more passengers to arrive. 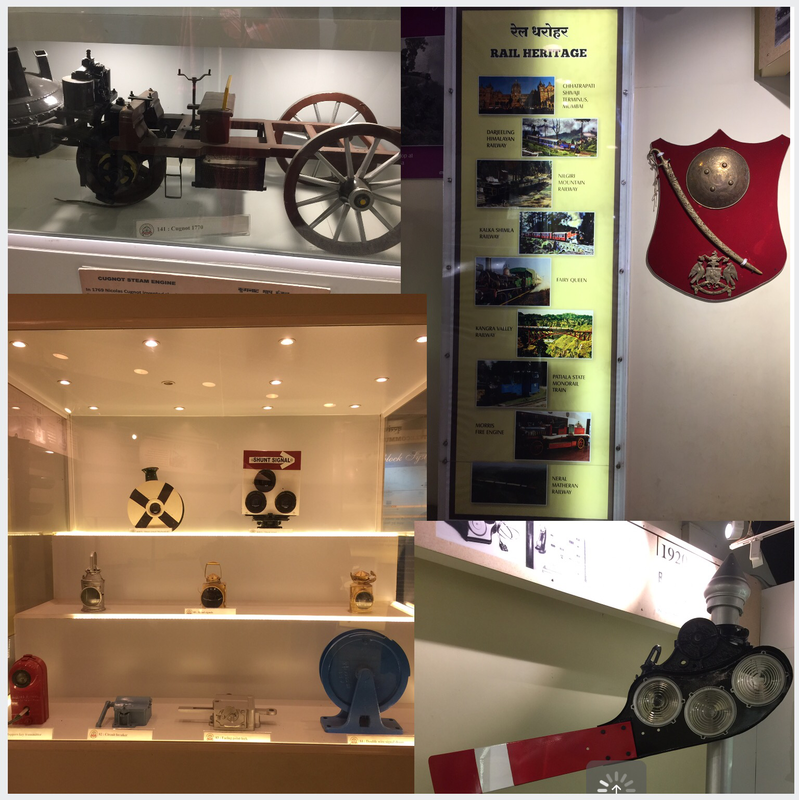 The photo-collage below shows the different exhibits that are in the indoor rail museum. It took us about 20 minutes to walk through the indoor museum, but you can spend an hour nearly if you are a railway enthusiast. While we like train journeys, we aren’t much into the history of railways, so didn’t spend a lot of time on the exhibits. We came back to the Museum Junction and took a ride on the Joy express. Its genuinely a toy train and goes around the entire outdoor area of the museum. We found many young boys and girls loitering around some of the coaches and other exhibits. Mom on the Joy Express and the signal man rang the bell to flag off the train. There was a huge group of school children that had arrived just when we were about to start our Joy ride and they were forming into a line to board. We got off the Joy express and headed out after a quick stop at the museum shop. The outdoor exhibits are all locked down and the path to walk to them is overgrown with grass. We should open atleast some of the saloons and other special exhibits and the walking path needs a cover – this is a museum that should have year round visitors, especially school children and walking in the hot Delhi Sun is no fun. The Joy Express is almost at its break point. Am sure we have enough money to overhaul it completely and add different kinds of engines to it – steam, electric etc and show how the technology evolved. Please make it safe and it should ride more slowly for people to get a look at certain exhibits. We can also put in some level crossings and get some of the visitors to act as the station master, signals folk etc. Hugely interactive and very interesting for school students and adults alike. There is a toy train set that seems to be dysfunctional – bring that indoors and again use it to showcase the different heritage trains of India. A functioning restaurant – preferably using different kind of coaches. Exhibits show casing some of the amazing railway routes in India – the Konkan railway line, the Pamban Bridge and an audio visual that shows how difficult it was to build these. A tribute to the metro man Mr. Sreedharan – our nation needs genuine heroes, and who better than Mr. Sreedharan and his railway miracles. Get him to do a video of how he approached the Pamban bridge buildout, the Delhi Metro etc. Would make for a great learning experience. Get the visitors to live a day in the life of a train driver, signals man, lines man, ticket collector etc. Get a few retired railway officials to be available in these experiential events. A constant live telecast of how the Bullet train project is coming along. A display of the staggering statistics – number of people using the metro, the Mumbai suburban rail network, the regular trains, etc .. we move more people on trains each day than the population of many countries !! We were underwhelmed with this Museum visit and are hoping that the new MoS Tourism and the new Railway Minister will fix this place soon. Not that Mr. Suresh Prabhu was any less capable, we went at a time when he was just moving out as the railway minister, that’s all. Categories: Live to travel, Other Loves !! 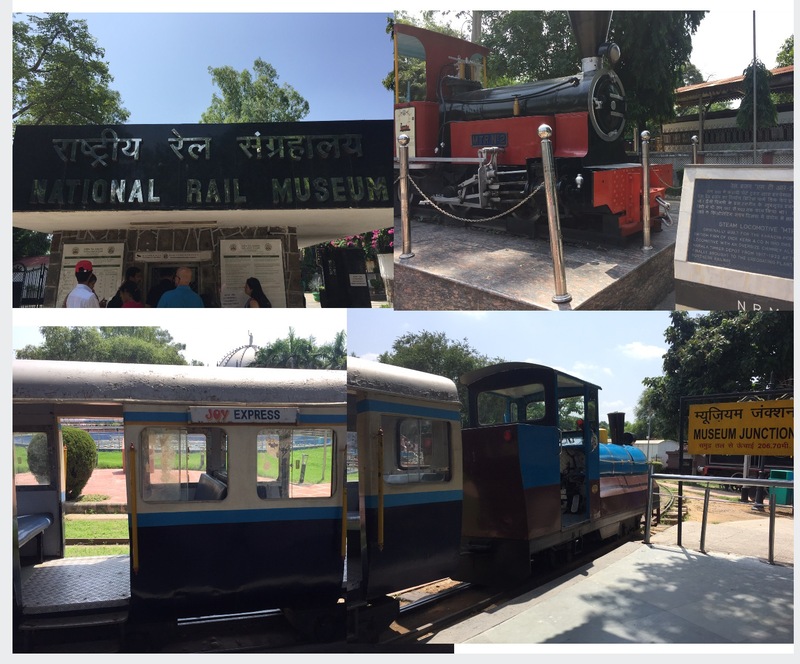 About 20 years ago, when my children were still young, I took them to the Rail Museum in Delhi. I was as thrilled as they were — may be more ! 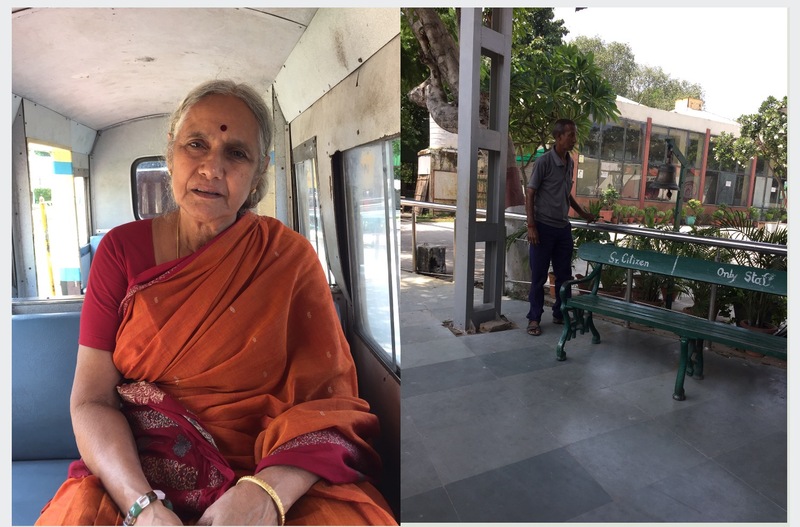 I spent many happy hours in the Mysore Rail museum too, with my first – born. It is much smaller, but the joy of railways transcends size! There’s a nice Rail museum near ICF in Chennai. I am not very far from that place, and strangely, I have not visited it yet. For all I know, you might visit it first and break my inertia after you write about it! Let’s hope that happens, Jai Hind to that!